MANILA, Philippines — The Philippine STAR today joins leading media organizations worldwide for the annual Impact Journalism Day (IJD). Led by social business initiative Sparknews, IJD is an international movement that aims to put the spotlight on concrete solutions that address social development problems and help achieve the United Nations’ Sustainable Development Goals. This year, The STAR features social enterprise JunkNot Eco Creatives, which transforms plastic waste into designer furniture. Read IJD articles inside and at https://bit.ly/2JSJ3Xs. 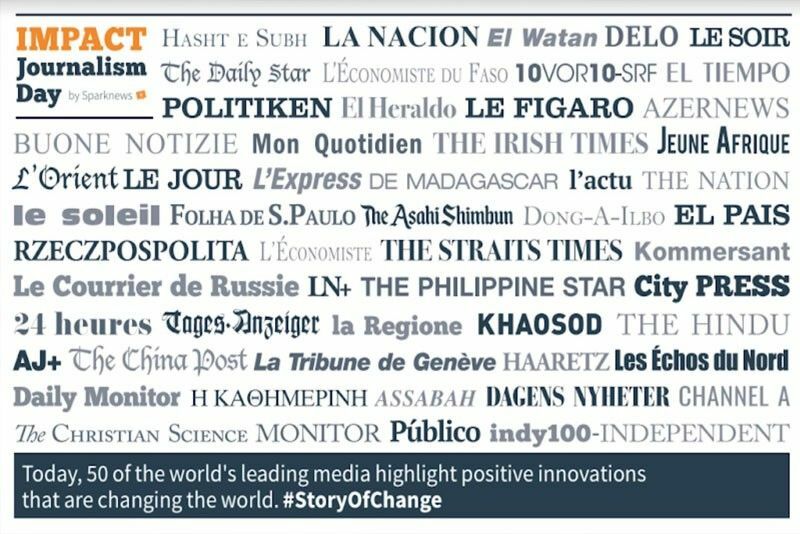 Join the conversation on Facebook and Twitter using hashtags #ImpactJournalism and #StoryOfChange.